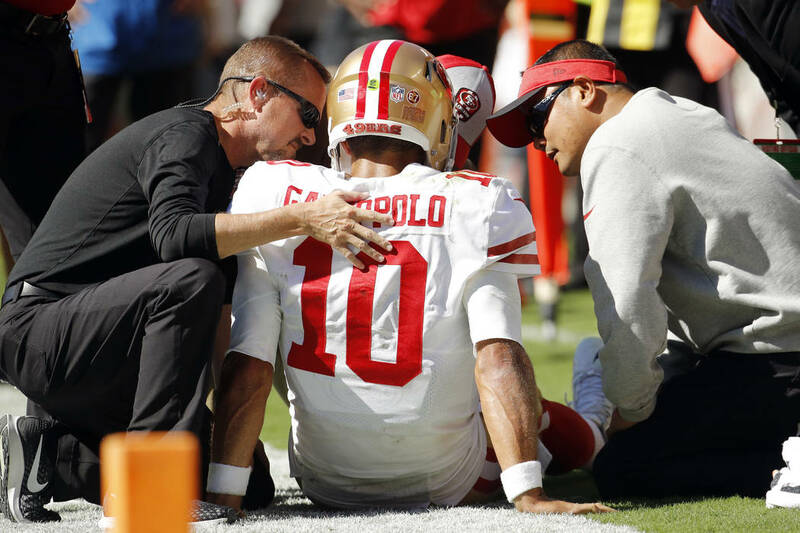 Garoppolo will have an MRI to confirm the severity of the injury, but 49ers coach Kyle Shanahan said “we fear an ACL.” That would mean C.J. Beathard is in line to start at quarterback. KANSAS CITY, Mo. — The 49ers fear quarterback Jimmy Garoppolo will miss the remainder of the season after sustaining an injury to the ACL in his left knee late in Sunday’s 38-27 loss to Kansas City . 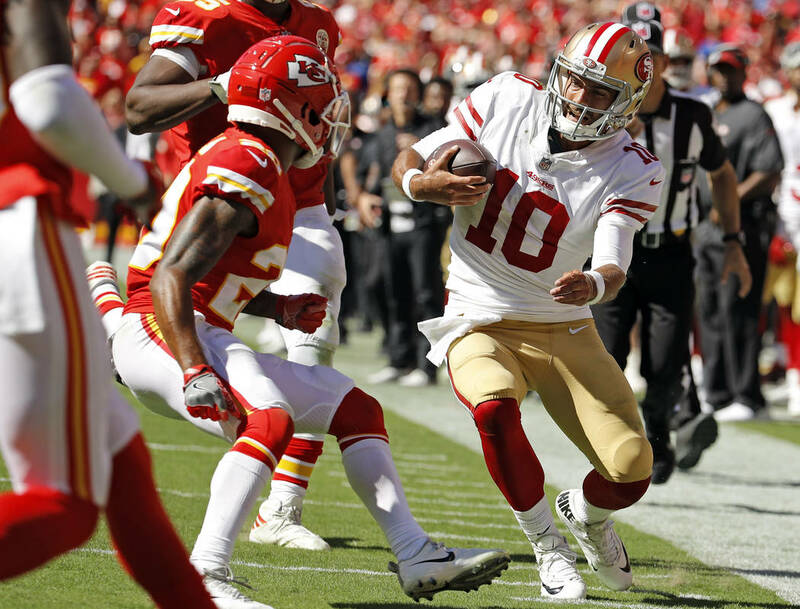 Garoppolo was 20 of 30 for 251 yards with two touchdowns and no picks against the Chiefs, and he was at his best in trying to rally the 49ers late. But after driving for a potential score in the fourth quarter, Garoppolo was flushed from the pocket and headed for the sideline. He appeared to take an awkward step and his knee buckled, just as Chiefs cornerback Steven Nelson delivered a shoulder-to-shoulder blow. Garoppolo wound up leaving on a cart. San Francisco wound up kicking a field goal for the final margin.